If there’s one person in Shenzhen I hate, it’s a smiling lady who has never done me the remotest wrong in her life, in fact she probably doesn’t even know I exist. Rain or shine she’s always outside working hard round the corner from where I live. From my perspective she seems to lead a completely blameless life as a street vendor on the busy Louhu thoroughfare she’s made her own. So why do I hate her? 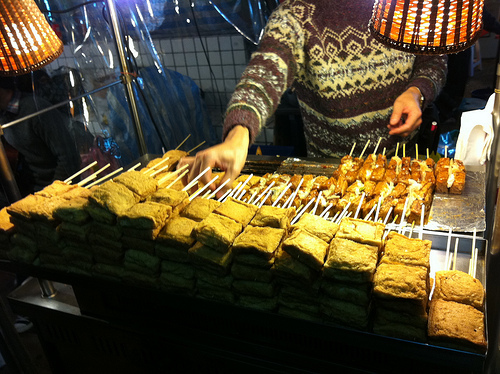 Stinky Tofu. You may have heard of some of the world’s smelliest foods, such as Durian fruit which smells a little like corpses and vomit, or the Epoisses cheese in France which is rumoured to be so appalling that it has been banned from being consumed on public transport in the country and has been described as smelling like someone who has bathed in their own urine for a year. There’s also Kiviak which is essentially rotting seal blubber which has been given 6 months in the ground to properly decay before it’s eaten. 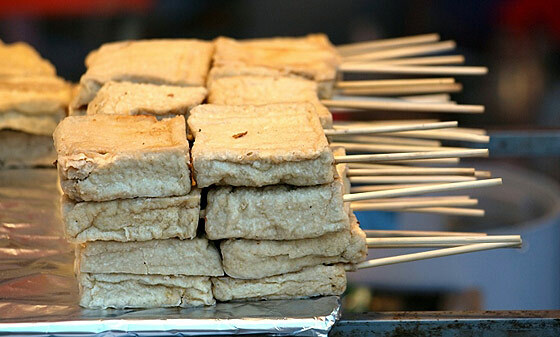 None of these things hold a candle to Stinky Tofu in my book, I would happily bathe in Durian flesh for a week whilst wearing trunks made of Epoisses and using a flannel of Kiviak than spend one more second around this awful Chinese “delicacy”. It smells like a combination of when you light the wrong end of cigarette, raw sewage and burnt tires and that’s at a distance. Up close and personal it’s overwhelming you can’t even come close to describing how bad it is. How does it taste? Bland. Yes this overwhelmingly cloying odor does not mask a flavor sensation, it announces something with the consistency and taste of damp cardboard. Worse is those days, rather like today, when you have a hangover and you wander along and the odor hits you like an angry mugger, it’s a fight to keep the contents of your stomach where they belong rather than decorating some unfortunate passerby. My policy is never to name people or show their faces when it's not their fault I'm being a whingeing Pom. So this photo is of some other random Tofu vendor and not the nice lady who lives near me. When my wife bought some, I made her stand outside to eat it – and though she complained at first, it took her only a couple of seconds to agree that it was probably for the best. And if you didn’t know already – Tofu is a type of fungus and is used in pretty much every meal you’ll ever eat in China. But most of the time it doesn’t smell like it does on my street corner.